As direct talks between the United States and the Taliban are in the process to ease intra-Afghan dialogue, ensuring national ownership has gained a central role in the country and international circles. National ownership of the talks can further open the door for peace in Afghanistan. The success of peace talks depends on aligning such efforts with those led by the Afghan people and government. Such alignment helps us to ensure the Afghan leadership and ownership of the process and thereby achieve a sustainable political settlement with the Taliban. To ensure such ownership, the peace talks shall be open and transparent to encourage the involvement and ownership of all Afghan stakeholders. The US and international community, and regional stakeholders shall stress the imperative need for the Taliban to directly talk with the Government and the emphasis on the centrality of Afghan people and government in the peace process as an essential element and inclusive part of the process. Talking to Associated Press on the sideline of World Economic Forum in Jordan, Chief Executive Dr. Abdullah Abdullah said the Taliban can be part of a political process and that they can represent the people of Afghanistan at any level if the group gives up violence. A sustainable peace requires all strata of the society to be involved in. The government of Afghanistan has established the reconciliation council which represents the overall Afghan nation, including politicians, ulema and women. The Afghan government has developed specific programs in recent days to address the needs for Peace and Democratization process in the country. As per the Chief Executive remarks, Taliban should shun violence and accept the peace gesture of the Afghan people. They would have a role in the political process of the country if stop their blood shedding campaign against Afghan people and the government. Their continued militancy would affect the spirit of peace in the country and their act would be considered as they are working in direction of the aliens. Peace talks have entered to a critical phase. 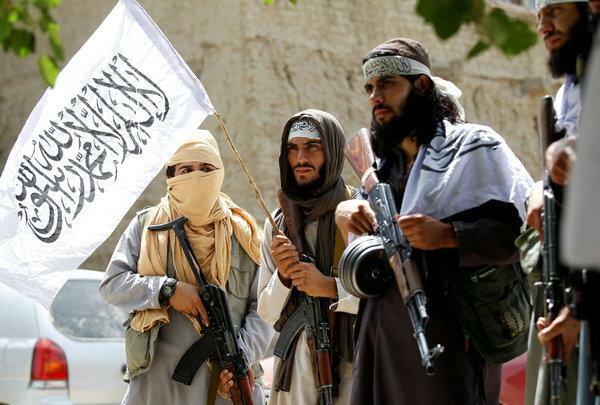 While direct talks between the United States and the Taliban have further opened the door for peace in Afghanistan, the success of these talks depend how much the Taliban and the Afghan government will be involved in the process and have the ownership of the talks. International community and regional countries play a critical role both during the talks and post conflict to oversee the implementation of the peace deal and guarantee that the warring parties to implement their commitments that will be made in a possible agreement.